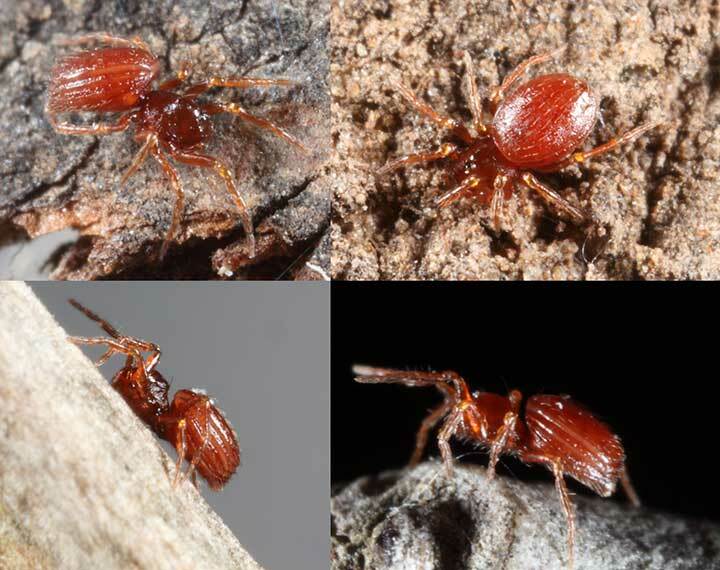 Tetrablemmids in Australia are very strange-looking little spiders, especially the males which have four eyes on the rear of the head behind a bluntly pointed dome at the centre. The female has either four eyes on the front of the head or is blind, having no eyes at all. The male's jaws are strangely shaped and the abdomen is encased in a hardened shell with a hinged, accordion-like bellows of softer material allowing expansion. 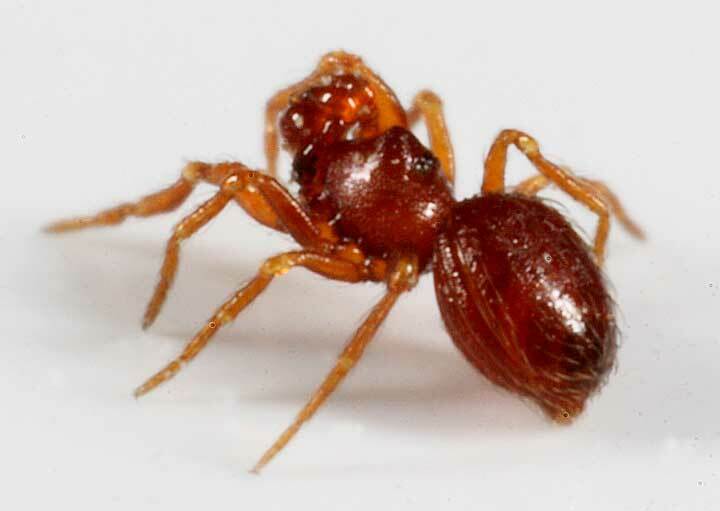 The male's palps can be gigantic for the size of the spider which can be as small as 1.5mm total body length. Most have been collected from tropical rainforest litter or soil, including hanging soils associated with orchids.